For driving lessons in Longford look no further than the Derek Creighton Driving School. A pre-test specialist with an extremely high first time pass rate, and many years experience, we cater for all students with a patient and friendly service, maximising your potential to pass your driving test first time. 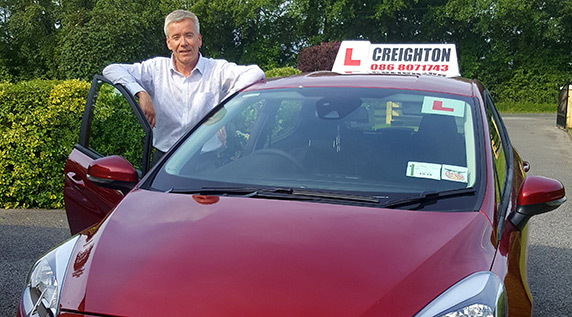 Longford native Derek is a fully accredited driving instructor with the Road Safety Authority (RSA). Derek also provides essential guidance and advice to learner drivers ahead of their theory examination and is fully certified to deliver the Essential Driver Training programme (EDT). Our clients can avail of driving lessons specifically designed to suit their driving needs. Why not get into gear this year by calling Derek on (086) 8071743 to get started.